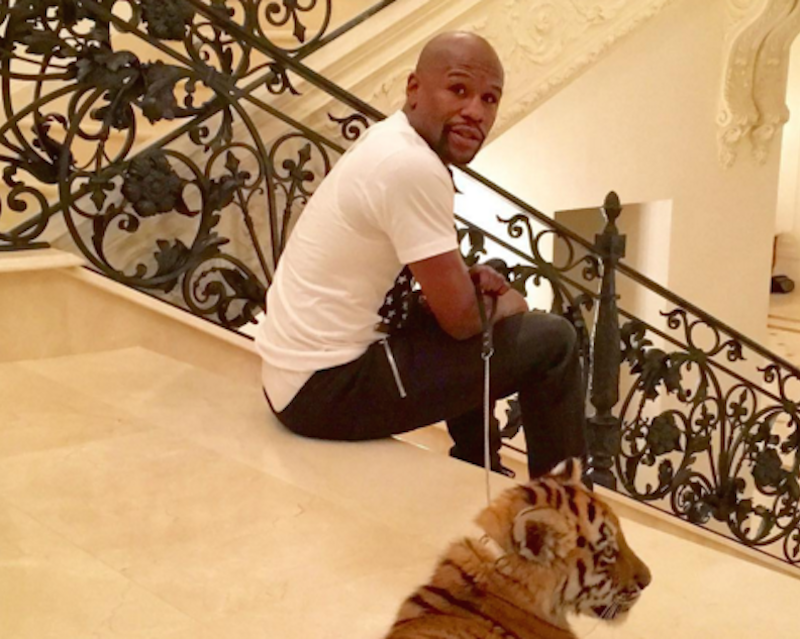 In his latest effort to remind everyone of how extravagant his life is, boxer Floyd Mayweather used Instagram to announce that he had received a 2-month-old tiger as a gift while visiting Russia. Who will take care of the tiger? Will she stay in Russia? This seems like a bad idea.